Sharon Smith is a descendant of the Wiradjuri people of western NSW and she was born in Sydney. She also has Danish ancestry. Sharon works mainly with acrylic paint on canvas but also enjoys ceramics, sculpture and weaving. 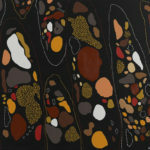 She is inspired in her artistic journey as an Aboriginal woman from the Wiradjuri Nation. She is constantly returning to her heritage and culture and her art work in its many forms is a constant affirmation of her identity. She reflects the love of the natural world and through her depictions of landscapes, trees and animals she explores her own personal connection with her people’s age-old relationship to the earth. 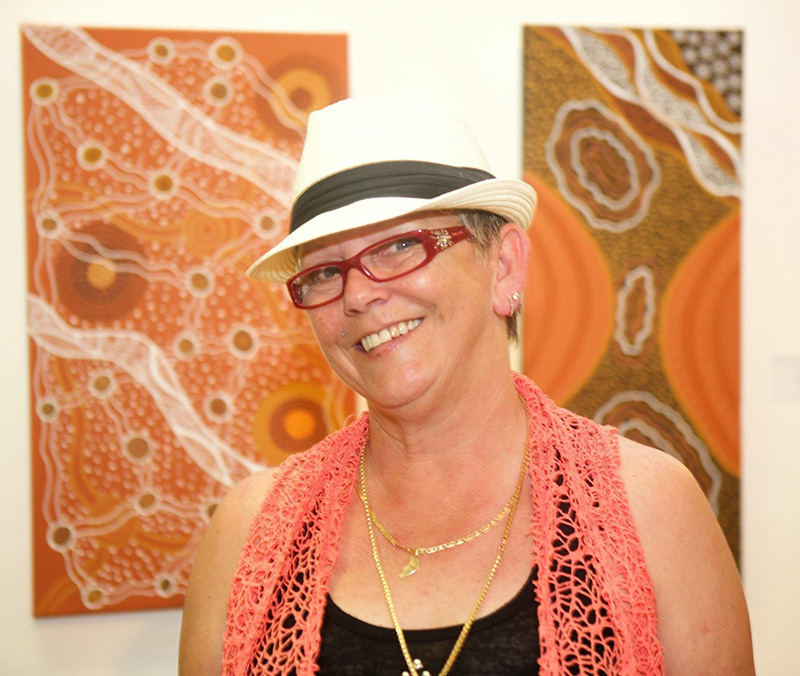 Sharon is a member of the Boomalli Aboriginal Artists Cooperative where she has exhibited. She was a finalist in the Parliament of NSW Aboriginal Art Prize 2014 and in the Fisher’s Ghost art prize in 2015.